So I'm going to start this post of by saying, buying a USB Pet Rock is the best and worst $7.99 I have ever spent. Now that I have that out of the way, I'd like to introduce "Pixel" to the SANTINI.IO team. 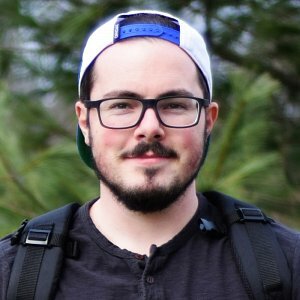 I know that seems really nerdy, but we need a mascot, so why not? Anyway, as absurd as this may be, I'm also going to turn this into a review. ThinkGeek is a website that sells the geeky type of stuff that make us all broke (Not to be confused with This is why I'm broke). The first time I stumbled upon this site was a while ago, but I had long forgotten it. I came across the site again when I found that Gamestop's PowerUp Rewards could be used for certain items on ThinkGeek. Long story short, I ended up getting these cool chemistry styled shot glasses as a birthday gift for a friend (Yes, I get my friends "free" gifts. I'm cheap like that.). I'm glad I found this website again because they have all kinds of cool stuff like geeky t-shirts, diy science stuff, home & office stuff, various gadgets, and even things for office pranks & cube warfare (I think need to look into the cube warfare a little more). ThinkGeek does have it's problems though. For me, the biggest flaw I think they have is there shipping. I understand it costs them money to ship items, but at the flat rate of $6.99? That seems a little steep considering if I were to return the item shipping via USPS it would cost half of what they charge. My suggestion to them would be to stop printing art/marketing on every side of the boxes you ship items in to possibly lower shipping costs for the customer. I'm not in their position so I'm sure there must be a method to their madness. Besides that, it's an awesome site with tons of awesome products and I would highly recommend you check it out. The USB Pet Rock is such a clever idea. It's like the original Pet Rock but V2.0 (Also, RIP to Gary Dahl, the inventor of the Pet Rock, who passed away recently.). It's awesome how such a simple idea made Dahl a millionaire. 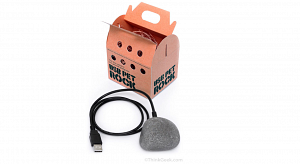 Similar to the original Pet Rock, the USB Pet Rock includes the carrying container with holes so you're Pet can "breathe" and straw for "comfort". The difference is, as the name suggests, is that it's USB powered (It doesn't actually draw power). To be honest, it really only has two purposes. The rock can serve as a conversation starter (as ThinkGeek suggests) or possibly as a paper weight. Simply plug the USB cable into a free port and let the fun begin. 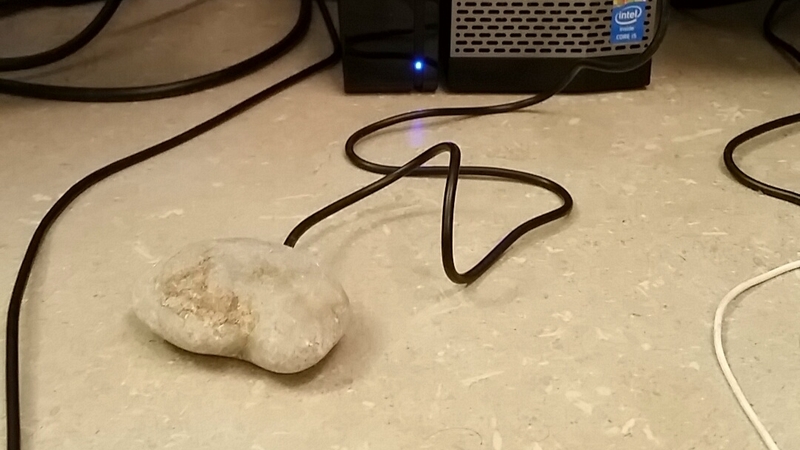 The USB Pet Rock will instantly begin to work its magic. People will stop by and ask you what your USB Pet Rock does. All in all, I would say that it worth getting as a gag gift or as a conversation starter. Let's face it, if someone see's a rock plugged into your computer they are going to ask questions. If you are interested in the USB Pet Rock, go to the link and check it out for yourself. Make sure to check out the other cool/nerdy products they have. Make sure to show ThinkGeek some love!